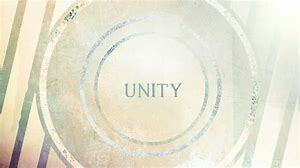 Unity and Loss – what holds us together? I have been thinking a lot about, and dealing with loss as the pastor of GMC. We have recently lost one of our members to cancer, a disease that must surely affect everyone in society as some level. We all surely know someone who has suffered from, beaten or succumbed to cancer and it is a somewhat feared disease. That said, new treatments have improved survival rates, and also the use of palliative care and the hospice movement has greatly helped those in the end stages of terminal diagnoses. But this has left me wondering how well we deal with death? After all, today I think, we do not deal with death very well. Death has changed for families and society in the west. Not so long ago our loved ones would often die amongst us, at home. We were also closer to our food source: any look into a butchers window would reveal whole rabbit, pheasant or chicken, but no longer. Death in all its forms is now more hidden away. I am not trying to equate our animal food source to the loss of human life, but just to say we neatly package food stuffs so they don’t resemble their source, and we have moved to medicalise death so now friends and loved ones often will spend their last days in hospital and hospice. We are removed from death. Or are we—because there is more death than ever on our screens—whether through gaming, death on our TV screens or in the latest Hollywood blockbuster. But this is stylized death. If your character dies in a video game, you just restart the game and you’re off again. In our blockbuster films often the ‘hero’ survives inexplicable odds, killing numerous ‘villians’ along the way. Death is not portrayed in any way realistically, and the idea portrayed is that we can survive all odds. But the odds are 100% against immortality—we will all die. As the saying goes, “nothing is certain except death and taxes”. Yet even our ’beauty’ industry and the medical profession fight against the inevitable. We should of course do all we can to remain healthy, through our diet and exercise, through good mind management and ensuring stable homes for our young folk, and encouraging all to grow into the best they can be. But our beauty industry peddles billions of pounds worth of product to ‘stop’ the aging process. The medical industry and doctors by their nature and oath fight to help folk beat illness and disease, and we are all grateful for that. But I wonder is death seen as defeat? Is death a failure of medicine? This changes everything… that when death is understood not to be the end, then although the loss still hurts, at times unbearably, there is hope for our loved ones who have died. There is also hope for us who will follow in Jesus. And that is where death coincides with unity. We are all united, no matter our background, our abilities, our race, creed or colour. We are united in that we are born into life and will also die unto death. But beyond that what unites us? For the Christian community it is truly that our Christian faith supports us in both times of joy and times of pain. Our faith unifies us as church before God, knowing we are here only because of Him. So, despite the searing loss we are having at the moment, despite the almost unbearable pain our Christian community is dealing with, we unify in that loss, give thanks for a life lived and a life eternal in Christ. But what lessons for us as society are there in this duality of loss and unity? Society is I believe is fragmented in so many ways—those who have – those who don’t; those with prospects – those who have none. Just consider the current situation on the Texas—Mexico border. Now the removal of children from parents is not new US policy under Trump, rather now applied with a zero tolerance approach. Yet it creates searing loss for those involved. The policy brings trauma and disunity. Those who have few prospects in Mexico see great prospects in the land of the free and the home of the brave. No wonder they are prepared to sacrifice and suffer loss for a better future of opportunity. Loss is inevitable and unites us all. But add human disunity then loss and suffering increase. By nature we are fallen, prideful, and self-serving, even the best of us if we really look at our own hearts. It is a shame we can not be united as humanity in Christ, for that is where all loss is made new, all pain carried and all hope found. Have a blessed summer whatever you are doing—find relaxation, be refreshed and whatever loss you may face, find unity in the power of Christ.